Home Opinion Nothing will be the same? Nothing will be the same? 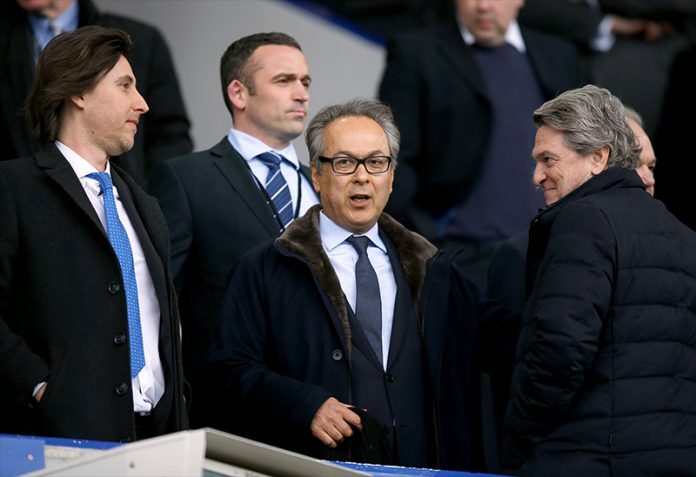 Late February 2016 was the period when Iranian born businessman, Farhad Moshiri acquired a 49.9% share of Everton Football Club. I can remember viewing social media on the day of the announcement to see the elation of many fellow blues, which I should mention was something that I had not seen on a regular basis for the 18 months previous. It was the day nonetheless that I and many others had been waiting for – Everton had money. By the 12th of March Everton defeated Chelsea in an FA Cup quarter final tie at Goodison Park. This would be the first occasion when Evertonians could finally hear their new majority shareholder speak. A man who according to Forbes has a net worth of $2.2 billion would get even the most pessimistic of blues excited. This considering that the club had been considered ‘Premier League paupers’ for so long under the tenure of Bill Kenwright and his colleagues. What, however would be the intentions of Farhad Moshiri? Mr Moshiri claimed that he would ‘give Everton everything that he had’ after Everton’s FA Cup victory over Chelsea in the March of last year however there are those that still remain dubious over the intentions of this very wealthy man. A frustrating summer transfer window in 2016 left newly appointed manager Ronald Koeman with limited changes to the squad that his predecessor, Roberto Martinez, had thrown together over two lacklustre years (in a total of three) as manager of the club. Despite the links to some serious talent, drawn in by the new wealth at Everton, the majority of ‘transfers’ failed to materialise. 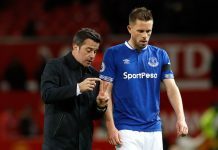 From this, a poor run of results and inconsistencies has plagued Everton’s match day performances after a very positive start that saw the blues win four of the first five Premier League games. The recent AGM showed some positivity with new sponsorship of the Finch Farm training complex as well as a new shirt sponsorship at the beginning of the 2017/18 season. The new sponsorship would enable Everton to increase their commercial in come by 300% according to CEO Robert Elstone. There was however no definitive answer on Everton’s hunt for a new stadium and although it was confirmed that the Bramley Moore Dock site was the preferred choice, there is still no guarantee that it will go ahead. With three failed stadium moves as back up, many blues have a feeling that ‘we’ve been here before’. Many of these disappointments have led to a few sections of the fan base asking the metaphorically posed question, nothing will be the same? For those unsure, ‘nothing will be the same’ were the words written on the 2016/17 season tickets for Everton. The truth is that there has been a change at Everton. Let’s examine the evidence of what has transpired in the near 11 months that Farhad Moshiri has been with the club. Our former and inept manager was dismissed (along with his coaching staff) in May and received a rumoured £10 million pay off for his ‘troubles’. In his place came Ronald Koeman whom had received serious praise from many within the football world for his improvements to a Southampton side that had lost its most high profile players every summer transfer window for a number of years. A much higher profile of manager as well as his coaches would surely not have made the move up from Hampshire to Merseyside if it were not seriously worth it. Then there was the induction of Steve Walsh which may well be the most telling incident to have transpired that gives Evertonians reason to believe that nothing will indeed be the same. Steve Walsh was the chief scout at Leicester City (again for those living in caves, they won the Premier League title in 2016). This was a man that found the hidden gems of Vardy, Mahrez, and Kante and therefore a huge part of Leicester’s incredible title win. His time at Chelsea also saw him scout the talents of Didier Drogba and before him, Gianfranco Zola. His record to find talent is unquestionable and yet when the new Everton regime offered him a position as their director of football he left the champions of England and came to Everton. 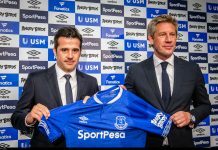 With the change in management, coaches, and in off field positions it is no surprise that Everton were slow to flex any financial muscles in the summer of 2016. 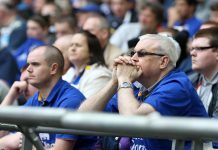 The transfers were therefore delayed in order to make way for a new manager, his assessment of the squad, and the appointment of a director of football.That being said, teething problems were inevitable and we must accept that it takes time to undo over two decades of mediocrity and disappointment. Essentially, patience is required and mistakes will be made. A further point on this matter is that Everton’s commercial performance and profitability has trailed some of the most mediocre of Premier League clubs – let alone the bigger players. Financial fair play rules would therefore have hindered any spending power of Everton as they would not have been allowed to spend considerably more than what they bring in. I’m sure that the increase in transfer activity after the sale of John Stones in August was therefore not a coincidence. This is another issue that will take time to solve however the AGM gave reason to believe that this is clearly being addressed by the new powers that be at the club. Conclusively there are serious reasons to be positive. A move to a new stadium would appear to be closer than it has ever been since one fateful day in 1892 and already in January we’re beginning to see improvements being made to the manager’s squad. With a little more patience the evidence would appear to indicate that the winds of change have finally arrived at Everton Football Club. It is time to adopt our motto as our standard. Nothing will be the same. Previous articleHave times changed? Or is it the same old story?